There aren’t many brands in the world which warrant an exclusive “Best of” list. In any equipment category. 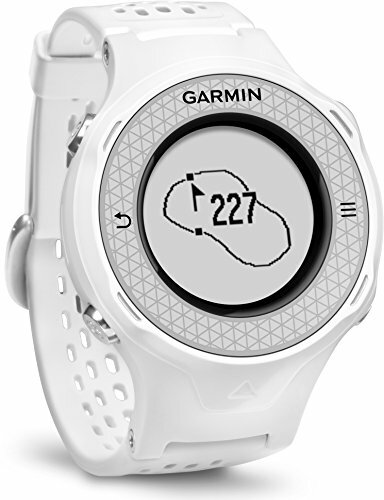 But such is the prowess of Garmin within the realm of GPS golf watches that even narrowing it down to batch of five was no easy task. Then again, if our toughest task in the world is to test these fine pieces of machinery, well, you can understand why we love our jobs so much! 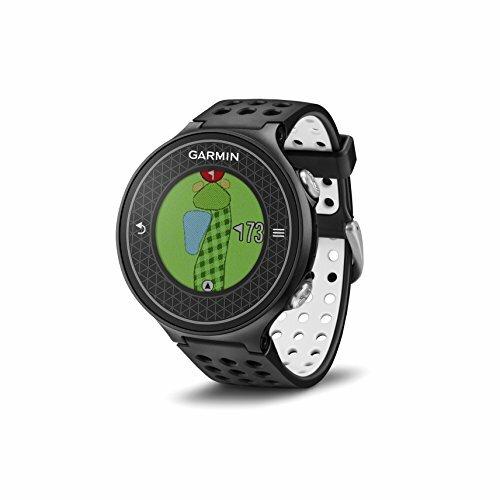 Below we have highlighted the five Best Garmin Golf Watches. Disclaimer – this is one extortionate piece of merchandise. Breathtakingly expensive. So, unless you’re willing to cough up upwards of 400 bucks, move along please. Good, because there are compelling reasons why this is our Editor’s Choice. Aside from the sleek, pleasing look and the readable 1.2-inch colour screen, the list of features is endless. It tracks distance and location of each shot without you having to do anything, but works simultaneously with the PlaysLike feature, which factors in elevation, and projects the distance relative to slope. Other bells and whistles include the SwingTempo and TempoTraining feature to help groove consistent swing speeds, while the watch also reports to the Garmin Golf/Connect app so that you can analyse this sea of data – and compare yourself against your mates. 40,000 golf courses loaded in – all with precise distances for hazards and doglegs. Waterproof. Battery life of up to 10 hours. The reasons to purchase this watch never end. Provided you can afford it. 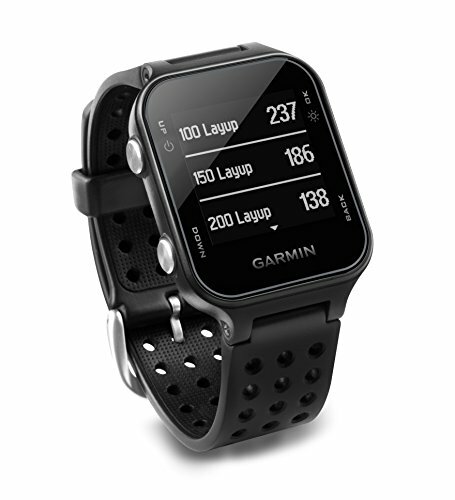 The Garmin Approach S20 is a golf watch, but also with a smidgeon of focus on aerobic activity. No bad thing. But on the golfing front, it really does tick all the boxes. The thin face, coupled with the clear display make for an excellent look. The fully-hinged and stylish design also ensures that the watch fits comfortably, while battery life is up to 10 hours. And you get all the golfing features you need. AutoShot records all your distances so that you can tuck into your post-round analysis with a cold one in hand. TruSwing Compatible is a good way to analyse your swing against set metrics. Stat Tracking logs all the numbers such as fairways hit, greens in regulation and putts per round, which gives you all the data you need. And, for under 200 bucks, it’s a great entry-level GPS watch. It’s been around for a while now, but the Garmin Approach S6 continues to fly off the shelves – virtual or otherwise. At a basic level, you have over 40,000 courses logged in, and can view them in either “course view” or “green view”. The battery life is extraordinary (10 hours in GPS mode, and up to 3 weeks in watch mode). It’s fully compatible with the Garmin Connect app. And it has fast built a reputation as being one of the more accurate watches around in terms of distances. Yet it’s also feature rich. SwingTempo and TempoTraining are at the core, but others include SwingStrength and PinPointer. There are also some other neat tricks such as touch targeting and manual pin positioning. There are plenty more too. And it’s all easy to use, and ties together seamlessly. Scant wonder why this is such a popular watch then. 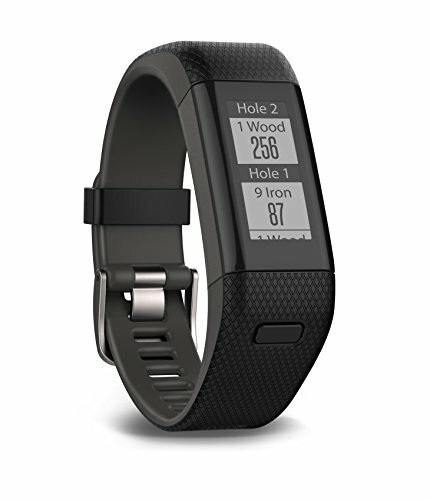 The Garmin Approach X40 GPS Golf Band is another fitness-focused watch, but it’s functionality in terms of golf is no afterthought. For starters, it’s super stylish on the arm, and the sleek, simple touchscreen display is user-friendly. At 31g, it doesn’t exactly weigh you down either. There are features aplenty as well, underpinned by AutoShot, which, when paired with your Garmin Connect app, gives you all the data you can possibly need regarding shot tracking. And with the various health-related functions on top, it amounts to a package which looks to be good value at $250. The Garmin Approach S4 GPS is another which has stood the test of time, and it’s not hard to see why. It all starts with the excellent hi-res display, which is sunlight readable, with the touchscreen even being glove-friendly! This was one of the first to introduce the green view button, and also pioneered the feature of receiving emails, alerts and texts when paired with an iOS device. Over 30,000 courses are mapped (lifetime updates defaulted too), with accurate distances. Although distances to hazards and bunkers aren’t automatically in place, you can insert custom points yourself, which is very easy to do. There is also ample in the way of shot stats and distances to give you something to analyse after the round. The battery life is also impressive at 10 hours in GPS mode, which again places it as a trailblazer given that it’s been around for a couple of years. And with a cost of under $200, you can achieve excellent value here. This is the bread and butter of a GPS. After all, what’s the point in having all the bells and whistles if it doesn’t do the day job correctly? The best way to test for accuracy is to try it out in conjunction with an established GPS (or rangefinder), making comparisons as you go. If golf were as easy as just hitting the ball at the flag every time, we’d all be pros! Unfortunately, there a few obstacles along the way. Therefore it’s important to be able to track distances to things like bunkers and hazards, while it’s also handy to be able to view distances to different portions of the green for approaches. If this is going to sit on your arm while you play a round, it needs to be comfortable. And light. But aside from that, a sleek design will always catch the eye, while it is vital that the display is easy to read, not susceptible to glare from the sun, and with a screen that is simple to operate/navigate. Being able to analyse swing and shot data is becoming fundamental to improving one’s game, which is why you need to be able to keep track of things like fairways or greens hit, and the number of putts per green/round. It’s also becoming commonplace to be able to analyse your swing against meaningful metrics, and this is something you’d hope is encapsulated in the features of a GPS watch. While it’s nice to be able to see things in real-time, invariably the nuts and bolts of analysing swing and shot data is going to be more detailed. As such, your GPS watch needs to pair quickly and easily with iOS and/or Android devices, along with the relevant app(s). 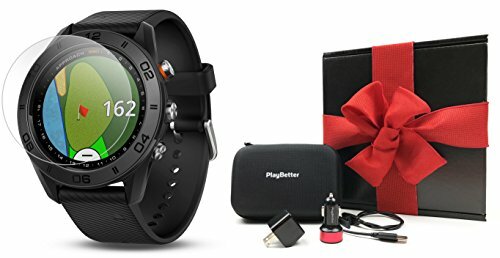 GPS watches have quite a wide band in terms of cost, and some of the newer devices – which have really pushed the envelope in terms of technology – come at a premium. You just need to decide what is most important to you. Are you looking for the whole shebang? Or just the basics of what a GPS is meant to do: measure distances? Once you know what you want, you’ll be better placed to ascertain what represents good value, and what does not. 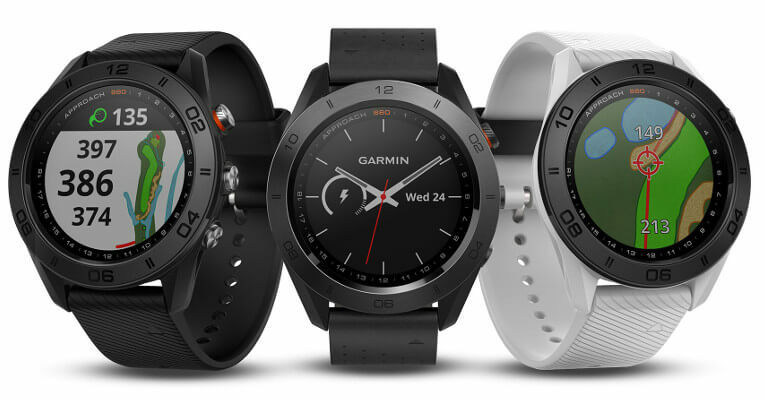 GPS watches have held strong despite the popularity of rangefinders, and Garmin have been at the heart of this, with innovative technologies and impressive new designs. The five we highlighted above, on balance, scored highest against the above criteria. However, there are many more which have come off the Garmin conveyor belt that may warrant a look-in too. That’s why they’ve firmly established themselves as an industry leader.